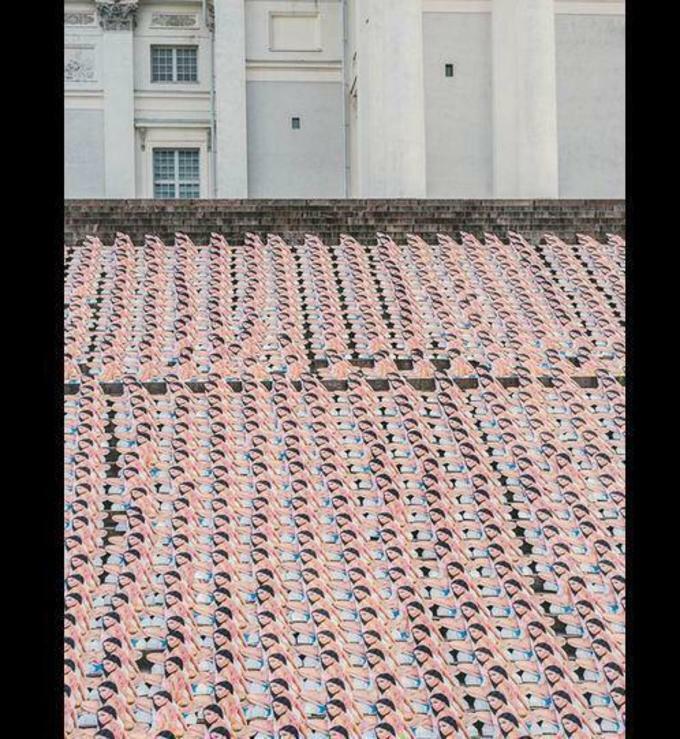 Residents of Helsinki woke up to an incredible sight today. 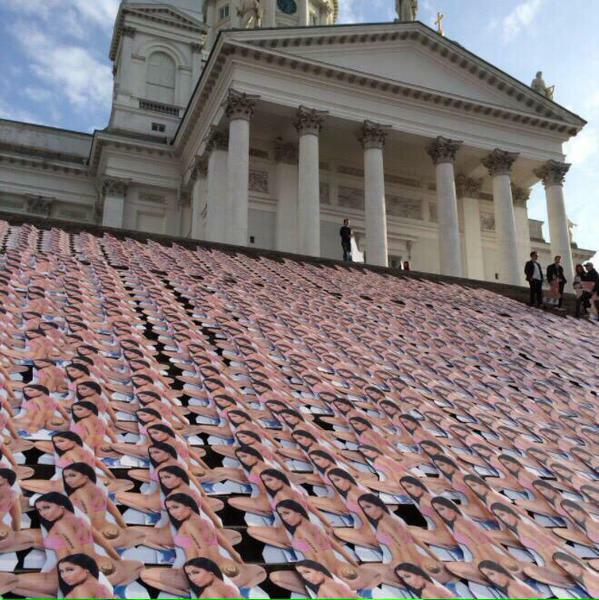 The steps of the Helsinki Cathedral, one of the city&apos;s most famous buildings, have been absolutely covered in these life-sized cutouts of Nicki Minaj. The incredible scene is a marketing stunt by the Summer Up Festival, which Minaj is performing at early next month, according to Helsinki News. Minaj&apos;s show at Summer Up will be the first time she performs in Finland, and organizers are making sure as many people get to see her as possible. 100 of the cutouts have two-day tickets to the festival appended to the back. The goal for the stunt was to gain world-wide attention and cause "positive wonderment," festival director Martin Mustonen told Helsinki News. We&apos;d say mission accomplished.